The Oklahoma Farming and Ranching Foundation has created a matching program and selected two additional worthy causes to begin distributing fire relief donations the organization has collected to help victims of the 2018 springtime Oklahoma wildfires. The foundation will match donations up to $1,000 from each 4-H club and FFA chapter that raises funds to be donated to Oklahoma rural volunteer fire departments located in areas affected by recent wildfires in Oklahoma.  The foundation board of directors is also issuing a challenge to County Farm Bureaus to contribute their own matching funds to Oklahoma 4-H and FFA members’ efforts. In addition to the matching program, the foundation will contribute $500 to families of 4-H and FFA members who lost homes to wildfires. The foundation will work with the Oklahoma 4-H Foundation, Oklahoma State University Extension and the Oklahoma FFA Foundation to identify and distribute funds to affected families. The foundation will also partner with the Oklahoma Cattlemen’s Association by donating $40,000 to the Oklahoma Cattlemen’s Foundation to provide fencing and other farm and ranch supplies to agriculture producers affected by the wildfires. Information and applications for the rural volunteer fire department donation matching program with 4-H clubs and FFA chapters can be found on the foundation’s website at OKFarmingAndRanchingFoundation.org/WildfireMatchingProgram. Donations can be made by mailing checks to the Oklahoma Farming and Ranching Foundation, 2501 N. Stiles, Oklahoma City, OK 73105. The foundation also can accept donations via PayPal on the foundation’s website at OKFarmingAndRanchingFoundation.org. When donating, please designate that the funds are for wildfire relief.